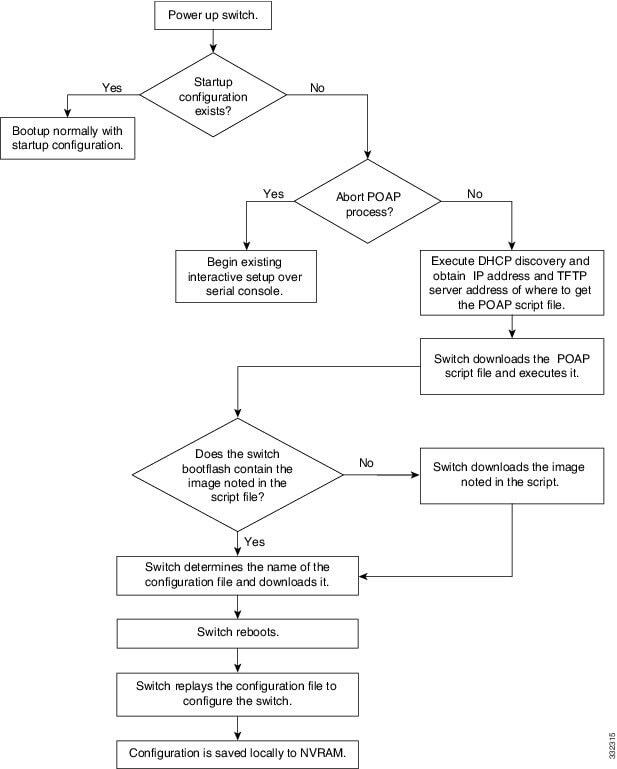 In this article, we will discuss about POAP to provision multiple switches. 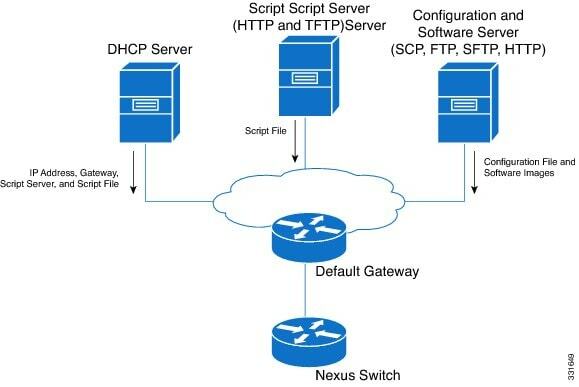 We need a DHCP, TFTP and SCP server. We can also use an HTTP server to deliver the software and the configuration. In the following block, I reserve a baud for the Client XXXXXXXX. XXXX is the serial number of the switch. In the option dhcp-client-identifier you need to add « \000 » before the serial number. After you need to generate a md5 of the poap.py script. The following line will replace the second line with the MD5. If the MD5 is not valided the POAP process will fail and restart. # Still needs to be implemented. Don’t forget your configuration file name « conf.XXXXXXX » where XXXX is the serial number and to configure the credential in this file.